Drop a few Mentos into a two-liter bottle of soda, and a geyser of foam erupts rapidly, sometimes reaching heights of 15 feet or more. First made famous by chemistry teacher Lee Marek on the Letterman show in 1999, the phenomena sparked hundreds of homed videos and an episode of Discovery Channel's "Mythbusters." Because of its physical texture and the ingredients in its sugary shell, a Mentos candy accelerates the release of carbon dioxide in the soda. 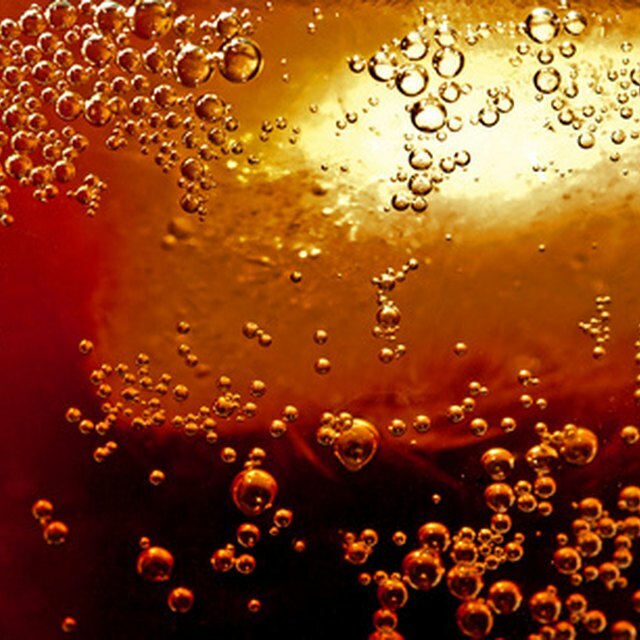 The bubbles in a bottle of soda are caused by molecules of dissolved carbon dioxide. Generally, water molecules like to stay next to each other, which prevents any dissolved gases from collecting. However, when offered a surface, called a nucleation site, dissolved gases such as carbon dioxide can gather, eventually forming a bubble. The sides of a bottle serve this purpose. When the bubble gets big enough, it breaks surface tension with the side of the bottle and floats up. A bottle of soda that gets shaken up releases the gas bubbles into the solution, making the soda supersaturated with carbon dioxide. This causes the carbon dioxide to get released quicker when you open it, causing a foamy explosion. Mentos candies accelerate this reaction through two primary means. First, their candy shells include "surfactants," which reduce the tension between the water molecules, allowing bubbles of gas to form faster. Secondly, the surface of the Mentos candy is rough, allowing more surface area for dissolving these surfactants quickly. The surfactants in Mentos are found in its ingredients. Primarily, the sugar, aspartame and potassium benzoate included in the candy shell reduce the work it takes to form bubbles in the soda, causing a rapid creation of carbon dioxide bubbles. These ingredients accelerate the foaming action of the soda very quickly, causing the infamous explosion. 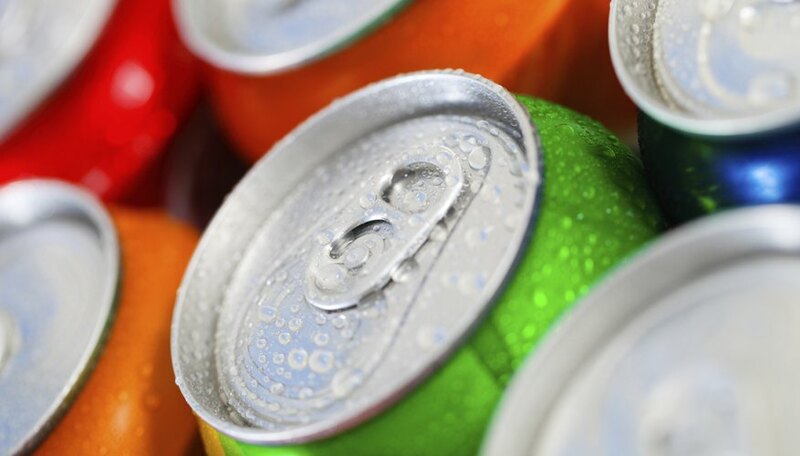 Caffeine is also a surfactant, but soda doesn't include enough caffeine for there to be a significant increase in the reaction. A Mentos candy feels smooth to the touch, but place it under a microscope, and the surface looks rougher than sandpaper. The bumps and cavities on the surface of a Mentos candy increase the surface area that comes in contact with the soda. This causes the candy shell to dissolve faster, distributing more surfactants into the soda, which causes more bubbles. Coupled with the ingredients in the candy, this physical property makes Mentos an explosive addition to a bottle of soda. This theory, suggested by "Mythbusters," was confirmed by Tonya Coffey, a physicist at Appalachian State University, and published in the American Journal of Physics in 2008. Tonya Coffey, Appalachian State University: Diet Coke and Mentos: What is Really Behind this Physical Reaction? Frostburg State University: Why do Mentos Mints Foam when you Drop Them into Soda Pop? Roman, Max. "Why Does Soda Explode When You Add Mentos?" Sciencing, https://sciencing.com/soda-explode-add-mentos-6384720.html. 25 April 2017.